Pedersen, originally uploaded by [Zakkaliciousness]. A beautiful Pedersen bike. 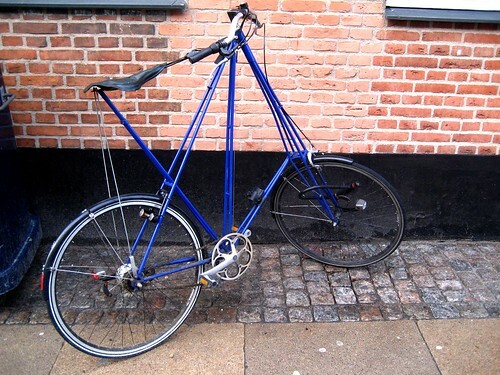 This famous bike by Mikael Pedersen was designed in 1894 and, after decades of success, faded away until 1978 when the blueprints were used to build modern versions. Wonderful to ride on, sitting high and proud on the strap. Perfect for city riding.